The following was taken from a research work submitted for my ECE 119 – Transmission Media class in 2006 at University of St. La Salle, Philippines. Most practical transmitting antennas are divided into two basic classifications, HERTZ (half-wave) ANTENNAS and MARCONI (quarter-wave) ANTENNAS. Hertz antennas are generally installed some distance above the ground and are positioned to radiate either vertically or horizontally. 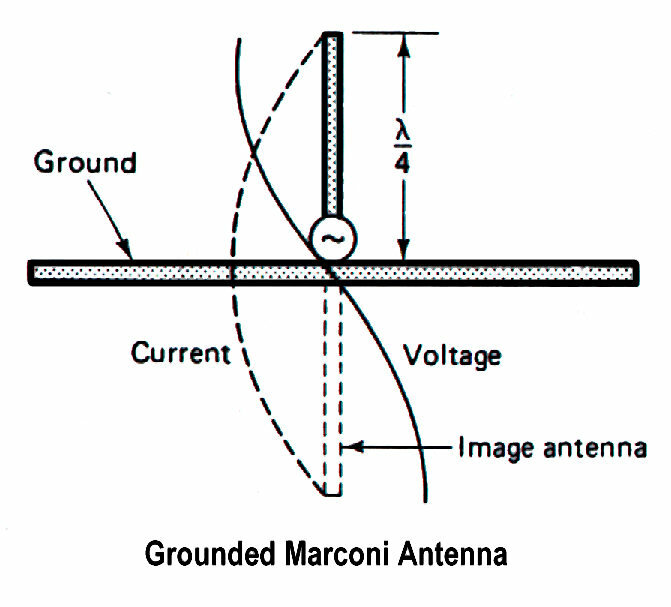 Marconi antennas operate with one end grounded and are mounted perpendicular to the Earth or to a surface acting as a ground. Hertz antennas are generally used for frequencies above 2 megahertz. Marconi antennas are used for frequencies below 2 megahertz and may be used at higher frequencies in certain applications. the general direction of the receiving set. This entry was posted in Education, Tech, Wireless and tagged Electronics, Tech.